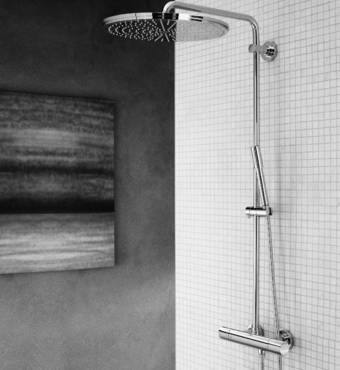 Systems feature either a thermostatic shower mixer or a diverter valve – to match the requirements of your project. Comfortable and convenient to use, a thermostatic shower system will protect you and your family for the risk of scalding. Thanks to GROHE TurboStat® – the technology behind our thermostatic mixers – your pre-selected water temperature is maintained for the duration of your shower. 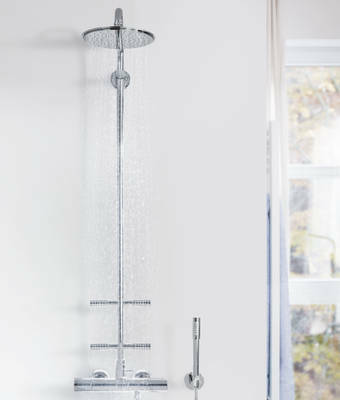 Replace your current hand-held shower with a GROHE shower system with diverter valve and revolutionize your daily shower. 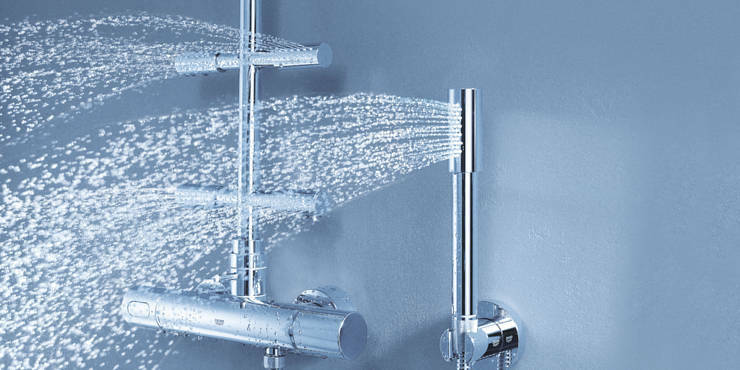 Shower systems with a diverter are designed for use with an independent shower mixer tap or thermostatic shower mixer – perfect if you want to improve your showering experience without the cost and disruption of a complete bathroom re-design. Installing a diverter system is simple and best of all, anyone can do it themselves.